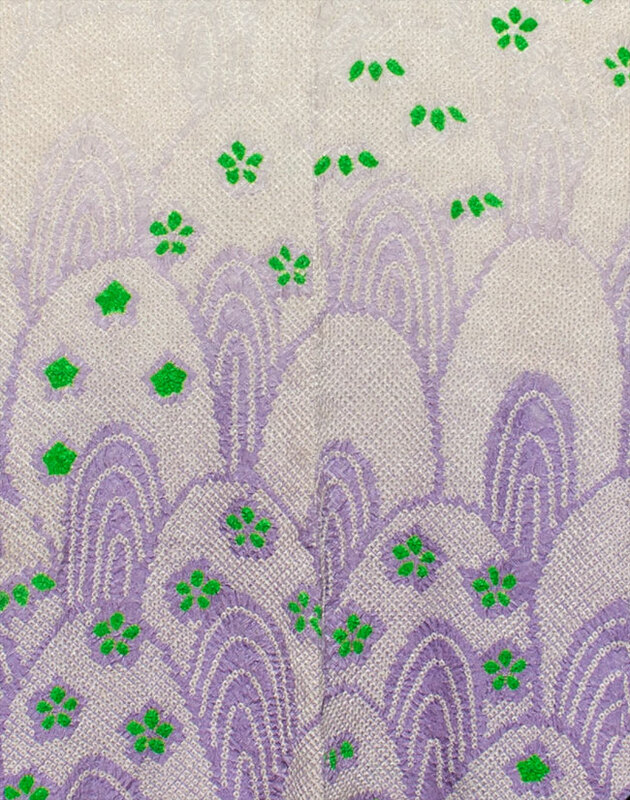 Kimoyes item: 17263 - Pale mauve silk haori with graduated colour and green highlights. 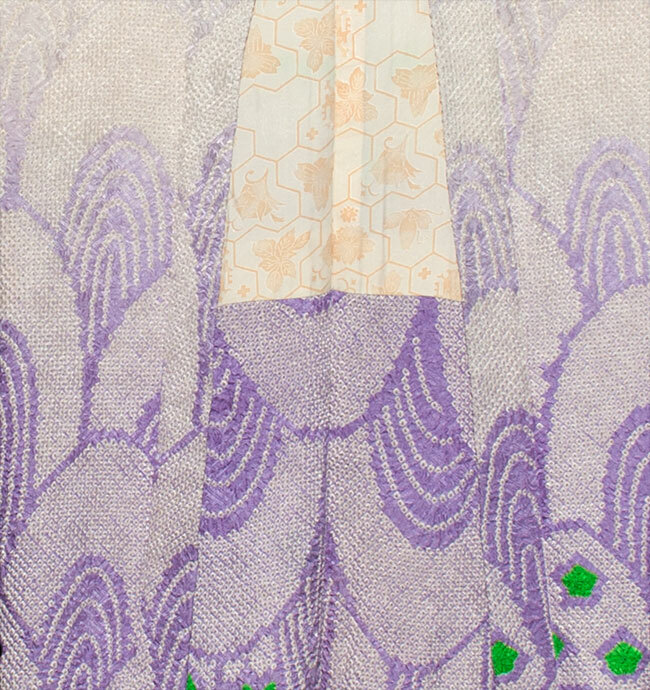 Pale mauve silk haori with graduated colour and green highlights. 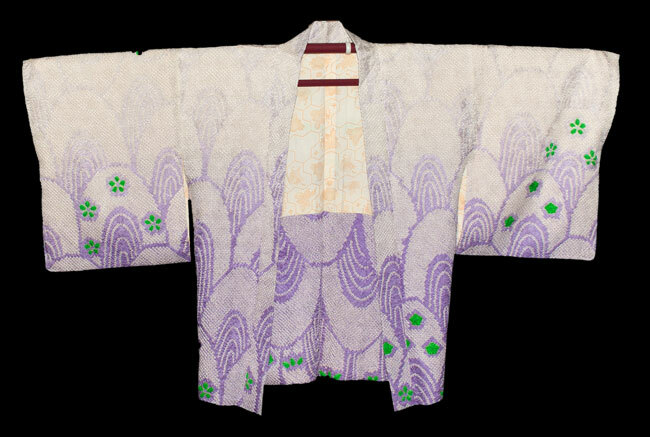 It is finished with a lovely cream and apricot silk. 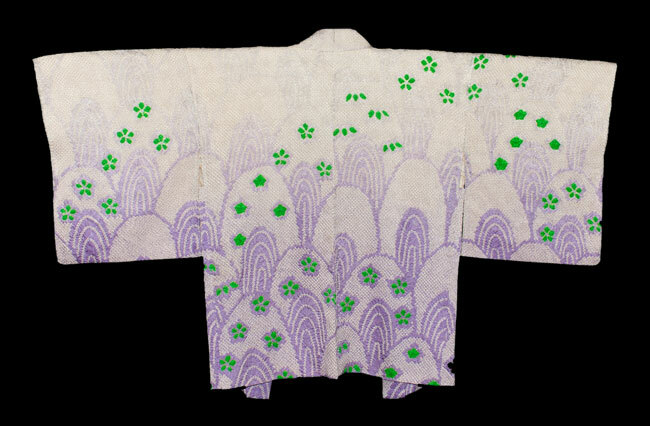 It is 38 inches long and measures 51 inches from sleeve edge to sleeve edge.